I could not resist this one. The silver medal has a silver mark, I believe an A in a circle. very nice bar with the TM first class. Well, that bar sure is something else! I suspect the silver 2nd class may be zink. 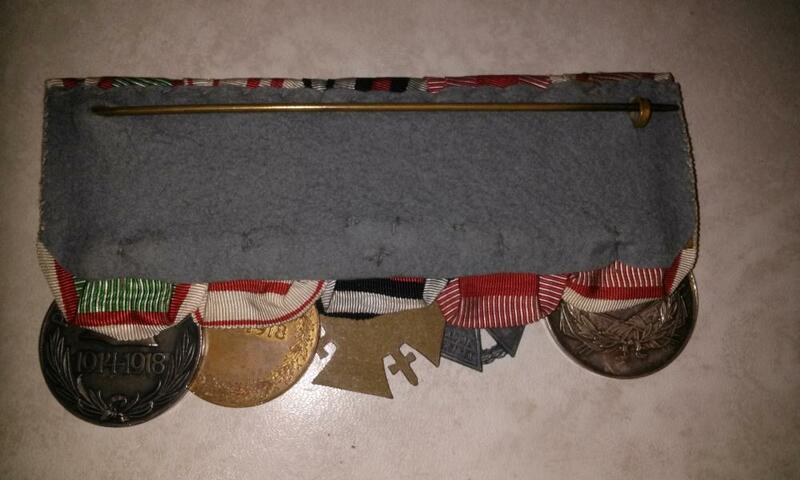 Compare the color and material to the truppenkreuz and the silver first class. I have a few other bars. I will post them later on. the STM II Klasse in Scheider's Ordensspange is a silver piece. Well, this “Spange” is later production (probably after 1938), when “K” itself is not original imperial struck and also the GTM is just replacement (HMA Bronze). Rest of the bar is whatever you want it might be and there is a lot of things that you might get for more than 5000 EUR. It is evident that all former austrian soldiers had german-style Spangen und Schnallen which were produced after March 1938. And some (or many?) of them used replacment medals for this purpose. Scheider himself received just a replacement medal anyway. But you are right it´s not worth the price at all. of course, this is a post-Anschluß mounted Große Ordensspange, prepared when the man entered service in the Wehrmacht. The Goldene Tapferkeitsmedaille, being a "Bronze HMA" piece, in my opinion shouldn't be considered simply as a replacement because, besides a limited number of awards of medals actually struck in gold, most of such decorations have been officially awarded in the gilt version (but with the old-fashioned suspension, typical of the gold medals). I agree that the "K" Auflage should be later than 1918, and this can be explained because the shop that prepared the bar, also added the "german-type", shortened Wiederholungsspangen and surely in his drawer there were also other small metal devices, like the said "K". The 2nd class Silver medal, really looks to me an original, award type piece in silver and not a zinc replacement. Let's say that the bar looks like a "mix", as it should be expected for a group like that. I also agree that it was an expensive piece. But a group with the provenance from a known war-hero, is expected to fetch a price higher than what a collector would pay for the single pieces. Theirs but to bid and buy." Well, I dare to say that nobody expects to have real gold struck GTM Karl on any kind of bar. These medals are really rare and according generally widespread belief they had been given to enlisted men/NCOs or Officers (with “K”) only by emperor himself. Officially awarded GTMs in bronze gilt should have “Bronze” on the rim. 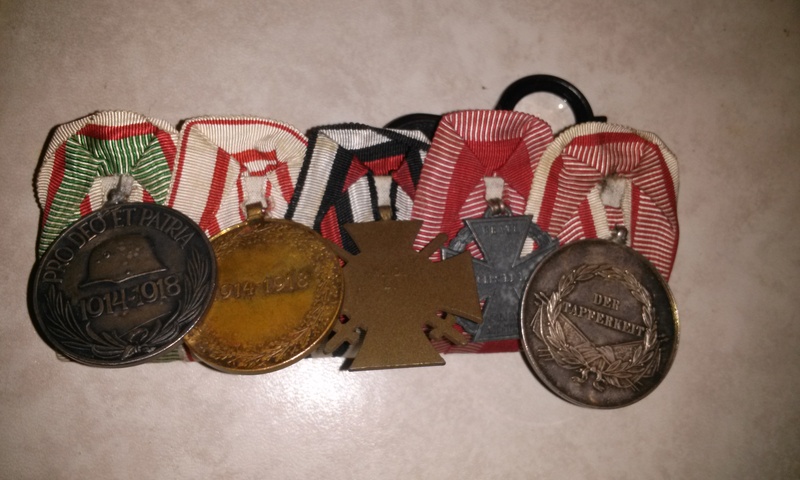 These medals, as Enzo wrote, have been seen as replacement and every awarded soldier was entitled to get a real gold one after the war would be won. Moreover, there are also GTMs in bronze gilt given on sale for uniforms shops as second pieces and those should have “HMA Bronze” or “HMA Unecht” on the rim. 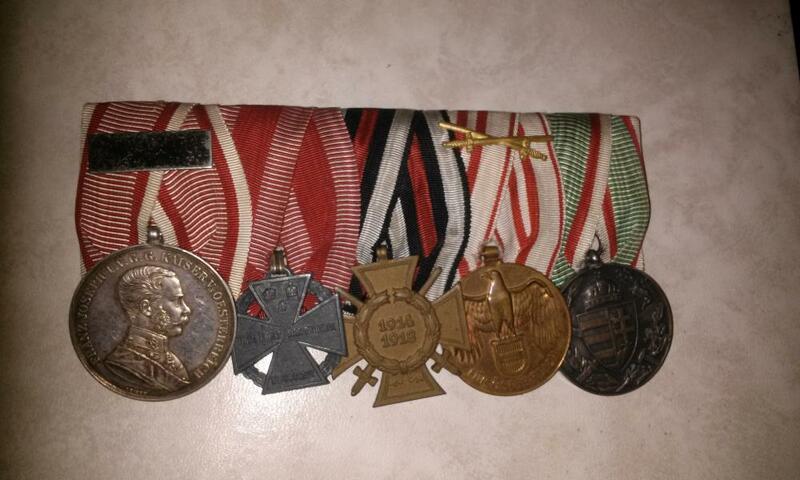 It might be said that those medals are something like “replacement of the replacement” though. Both these medals in gilt bronze with simply “Bronze” or “HMA Bronze/Unecht” when on the old type of suspension, typical for real gold ones are considered period originals and collectors do not distinguish very much between them. However this theory have also some “leaking parts”. 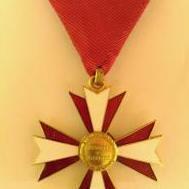 This medal came from the same provenience and it´s the piece with dedication but it has just “Bronze” on the rim. It’s very unlikely that this is awarded piece. Logic says that this medal was purchased privately and “upgraded” with personalized engraving. “K” also doesn’t correspond to officially awarded pattern and it was privately purchased. Originally awarded “K”s (during WWI) are very rare indeed. This is quite neglected topic and almost every “K” when looking at least somehow decent is considered original. I would humble say that "K" theme is rather tricky.